SCHOOL attendance was high on the agenda when former PM and Special Envoy for Indigenous Affairs, Tony Abbott MP arrived in Cherbourg this week. Mr Abbott was joined by member for Wide Bay, Llew O'Brien MP and they met with community groups including Cherbourg council and school staff members and students including principal, Stuart Fuller. During the council meeting, Mr Abbott said he was focused on addressing the issue of school attendances and he asked councillors what their main concerns were for the region. Cherbourg Deputy Mayor, Cr Elvie Sandow was concerned about the longevity of the region's childcare. "95 per cent of families that access our centre are from non-working parents," she said. "The school has commented saying those kids that do attend early childhood do well in school, however the kids that don't attend early childhood are bouncing off the walls." Mayor, Arnold Murray was concerned there was nothing for the youth to do in town and made suggestions for a water park or a play centre. Mr Abbott was surprised there was limited transport options for Cherbourg residents to get into neighbouring town, Murgon. This led to serious discussions of a bus and a footpath to Murgon. Cherbourg Aboriginal Shire Councillors were confident their meeting with Mr Abbott would be an effective one. "We have put in requests for a bus in the past but with Mr Abbott's assistance it will have more clout," Cr Tom Langton said. Once at the state school , Mr Abbott enjoyed morning tea with the students before a private meeting with principal Stuart Fuller. Mr Fuller who had attended the early meeting at council said he was glad the former prime minister seemed to share similar goals. "Mr Abbott's focus is on school attendance which is one of our three major focuses," he said. "We talk about having the Cherbourg ABC's." "Attendance, Behaviour and well being and then our Classrooms." 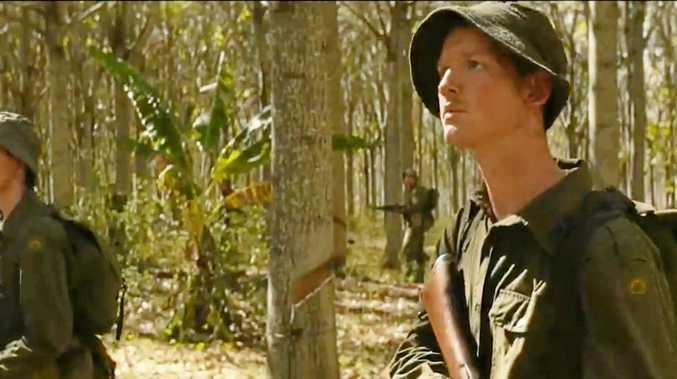 "What he is chasing is what we are chasing." 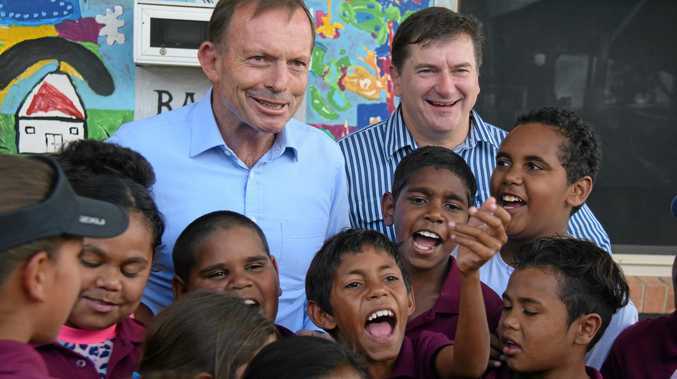 While spending time with the indigenous students, Mr Abbott stressed the importance of good teachers in remote schools to keep students committed to their studies. "The schools that have the best attendance are the schools where the principal and staff have the strongest engagement with the students," he said. "What we need is policies where we have good teachers staying longer in remote schools." "I'll be going back to Canberra and suggesting changes for better teachers in remote schools." premium_icon Is this the end for Abbott as indigenous spokesman?